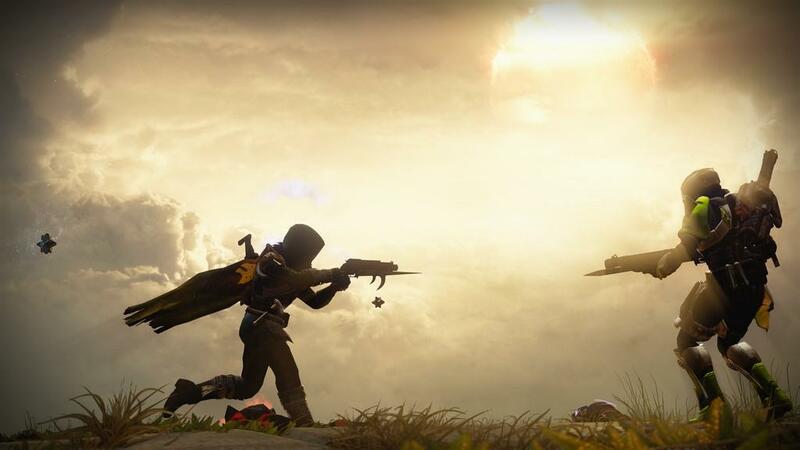 In many ways Destiny was the game that kicked off the current gen of gaming consoles in earnest. The PS4 and Xbox One were released around November of 2013, but other than the launch titles like Assassins Creed: Black Flag and the annual roster updates on the sports titles, there really wasn't a whole lot of games on offer for the better part of that first year. I would imagine that's partially a factor of developers getting used to the new hardware but also because, like every year, many AAA titles hold off until the holiday season to push their work out. The first half to three quarters of given year always seems a little more barren to the final push before Christmas. Regardless, in those first eight months of 2014, the biggest new IP was probably Watch Dogs, and there's not really much of anything else of note released. 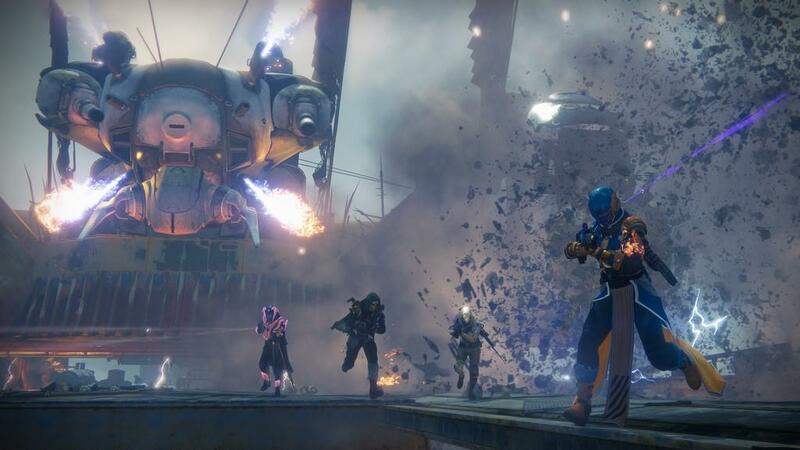 All the while, the hype train for Destiny was building more and more steam. It wasn't just a blockbuster, it was a Bungie blockbuster - the guys that did Halo, one of the most beloved franchises of all time. It was an FPS MMO and I'm not sure many of us in the gaming community even knew what that was supposed to look like. It was going to be big, brash, and epic; we were promised. It also had a 10 year plan to be more than a flash in the pan FPS but to embrace the MMO aspect, and become legend. Finally, on September 9th, Destiny released and the next-gen consoles had their first system true seller since the launch. Early reviews seemed to be pretty consistent across the industry. The game's core mechanics were praised but little of it seemed to fit very well together. There were things to do but no compelling reasons as to why to do it. And the experience was much more disjointed than the ambition of being the first major FPS MMO had led people to believe. 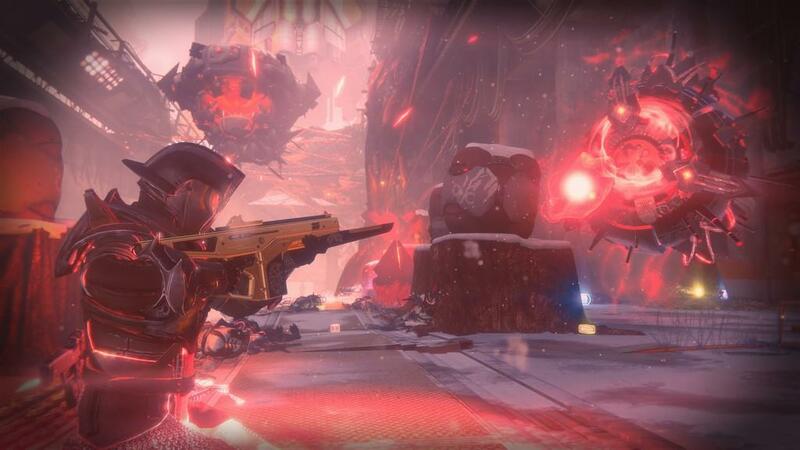 In our review we brought up many of these points as well, giving it an 8 mostly on potential and mechanics, and recognized that the experience of playing Destiny is one that is in flux, the game was set to evolve and change over time. With that in mind, a review of Rise of Iron is more than the nuts and bolts of the new content. It's also a chance to look at that evolution and take stock of what Destiny has become. Rise of Iron is set to be the last major expansion before Destiny 2, and already hints at the necessity for a full fledged sequel. Many of the pain points present throughout the life of the game were rooted in a commitment to keeping the game cross-generation on both the last-gen PS3 and Xbox 360 consoles as well as the current-gem of PS4 and Xbox One. Rise of Iron marks the first step away from the last-gen, as support has been dropped entirely. There is a path to take last-gen Guardians, your character in Destiny, and port them over as long as you remain in the same Sony/Microsoft ecosystem, PS3 to PS4 or Xbox 360 to Xbox One. There have been numerous reports over the years of the subtle ways in which the last-gen consoles have held back the game, from limiting the vault space to store extra weapons and armor, to speculation on limiting how open world the game actually could be, restricting the number of enemies on screen at a given time, to actually having to cut content had Bungie tried to release Rise of Iron on last-gen. Many of the details and reasons for this is of course hidden behind the code base but it's easy to imagine with the last-gen consoles only having 512 MB of RAM to current-gem's 8 GB. With only an estimated 10% of the player base still on last-gen, it was time to push forward. It wasn't all smooth sailing, but there was candy. Many players did abandon the game after their first trip through. The key to any MMO is the end game, what to do when all the story missions and single player content has been played through, and vanilla Destiny's wasn't very well formed. The key to the end game is usually twofold: missions and quests that don't exhaust themselves on multiple playthroughs and a yearning for better and better loot drops. Keep players interested in striving for stronger weapons and armor, then they will go back and run the content again and tackle the challenges in a different way, or simply with a bigger gun. For Destiny the major component of this were Raids, the most cooperative PvE aspect of the game, and the Crucible, the PvP aspect of the game. Both rewarded players not only with the most challenging experiences, but also with the best loot. Getting the best combinations of stats and perks, or "God Rolls", on the better weapons could be a massive boon to player performance. Having a shotgun that had max range or a sniper with an aim assist boost and strong enough to take down an opponent with an over shield could be the difference between a win and a loss, success in the raid or a team wipe. And at the end of the event, more candy. Maybe it was a new gun or a better roll to replace one in your vault. Maybe it was nothing. but even then the thrill of the hunt lingered hoping that next match, that next raid might be a better payout. But it took a while for there to be enough loot, and enough content to make it all worthwhile without feeling like a grind. Despite two expansions in the first year, this really didn't come to be until the Taken King was released, and Destiny Year 2 was branded. If this Kotaku article is to be trusted, the issues with year one, or vanilla, Destiny's story were rooted in a massive staff upheaval resulting from a failed first draft that went way too far into production without ever really being properly vetted until it was all too late. There is all sorts of content but none of it fits together in the disjointed patchwork of a tale that was frankenstiened together after most of the technical work was done. The Taken King essentially fixed that. It came in with a compelling plot that introduced the big bad straight away, filled the very first moments of the journey with mystery and dread, and presented a constant and measured plot arc that made the endgame satisfying. In the year since the Taken King, the game has undergone numerous balancing updates, special events, and single substantial content bump in the Spring that introduced a new play area, bumped the level cap (what's called light level int he game), and completely changed the way weapons could be infused (how you take a weaker gun of a better type or with better perks and combine it with a stronger one to make a singular powerful weapon with the best perks and strength). In essence, that April update took much of the grind out of destiny. There was a clear and easy way to raise your light to max level and you were no longer short changed when infusing guns. Now we enter what is essentially Year 3 with the Rise of Iron. A new enemy has entered the fray in a familiar place. 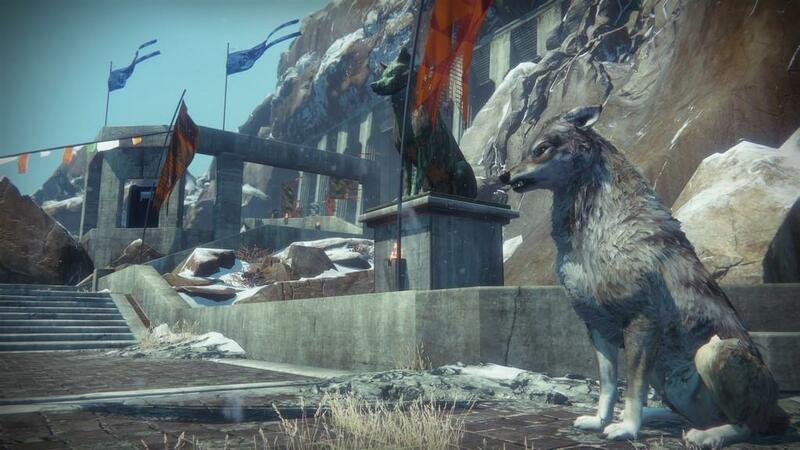 Rise of Iron takes Destiny right back to where it all began. In Act I: Scene I of Destiny you awake in old Russia as a guardian of the light and promptly find your way shuttling across the system to Mars, Venus and deep inside a warship off the rings of Saturn. What you don't do is spend much time back at the start. Your first trip off world is the moon and though Raids and expansions brought you back even there again and again, there wasn't a terrible amount happening back on Earth. Rise of Iron is almost entirely focused on Earth. The enemy is literally at the gates, and not only are you brought back to the start, Bungie is going to pull all out the stops to grab your heart and take it along for the ride as well. If you've spent any decent amount of time with Destiny then Rise of Iron is going to hit you right in the feels. The missions, the locations, even the new weapons are a blatant attempt to well up the nostalgia and carry the vanilla experience into the present, and it works brilliantly. I wonder if new joiners will get the same experience. Possibly not, but by now with over two years of content packed into a single purchase they'll have enough to do that, if they run through it in order, will still probably get a kindling of that nostalgia. The most poignant part of it all, and I'll keep it spoiler free, is in one of the last story missions where you reclaim an exotic version, the highest of classes, of the very first weapon you pick up in the very first mission. It's not just the location and the dialogue that hit the bullseye, its the very direction you take. In that opening scene the threat is behind you and your first action, weaponless, is to flee. But now you stand again, hardened by the experience of roaming the solar system. You have become the Slayer of Oryx, the Hive Bane. Now you don't run away, you run toward the threat. You are no longer in danger, you have become the danger. As Walter White would say "I am the one who knocks." That's how Rise of Iron becomes the perfect bookend to the Destiny experience. It's nice to have risen to the challenge, to have slayed every boss that stood in your way, but here we have the chance to actually properly reflect on that journey, and all the while a new challenge is laid before us. Rise of Iron's new baddies are a spliced up version of the old, but everything seems a little tighter about it. They pack a more powerful arsenal, but also seem to have had a little boost in AI to match. They actively seek cover a bit better when weakened and seem to attack in greater number and from better angles. ...but I have this real impression that this grind is intentional. It's an attempt by the designers to get people to just keep playing, and maybe for the first time, the game isn't a checklist of weekly things to do, because there are just so many avenues to do it by. While there is a pressure to level up to tackle the Raid or play at the highest level in PvP, the game is meant to be played not to be gamed. After the April update that saw the light boost from 320 to 335, some had hit the cap within hours from hoarding exotic engrams and edging all the factions for package boosts. That strategy was even more rampant going into Rise of Iron, but hitting the cap takes a major component to strive for out of the endgame. Slow playing that probably benefits the community as a whole. It can be frustrating plateauing at a given light because you just can't get an new Artifact to drop, but for the most part the game now lets you do what you want as all factions will reward you in kind. Just keep playing. The rewards will come and you can pick whatever avenue best suits your whim. Just keep playing. And there really is so much to do. New story missions, new strikes, new weapons and armor, new exotic weapons and armor, a new PvP mode and raid, new public events in an entirely new area to explore with a new public arena, there is heaps of new there, a promise of future content including the return of Sparrow Racing, and the old stuff gets a fresh reason to replay as well. Strikes had been long forgotten by much of the community and now they have become vital not only for everyone to get to 365 but continue to serve a key purpose beyond as they now drop strike keys which opens a chest at the end. The loot form these chests come from a table specific to each strike, which makes it possible to get a certain gun or armor piece in a dragging slot you need or just because you like that gun and want a chance at a better roll. Some of the best guns in the game can be found in those chests, like the Grasp of Malok or Darkblade's Spite. Prison of Elders remains viable as it is a great source of weapons on the faction packages and can boost to 365 in the prison itself. Nightfalls and weekly PvP bounties have seemed to be dropping the best loot yet. Not that they ever really went out of endgame fashion, but they have become even more enticing with those drops. And the new weapons are really starting to bring balance across the universe. There have been periods in the past when certain weapons of some rarity would became all the rage and would dominate the PvP arena. Inevitably those weapons would then get a nerf to try and artificially force other options into the meta. For example there was once a time ruled by the Doctrine of Passing, an auto rifle that could only be obtained through success in the Trials of Osiris, the premier PvP event that is only held on weekends and dominated by streamers and other elite. In the April update, a Doctrine clone was introduced, the Soul Stealers Claw but it was only available through a certain faction package that took a while to rank up for that off chance. But now there are two more guns, not only easily available through Iron Banner and regular crucible but even for sale at a vendor for the first time that fit the archetype perfectly. Or take the tale of that Grasp of Malok pulse rifle that could only be obtained through a specific strike, or the exotic scout rifle of legend, the MIDA Multi-Tool, neither of which were easily obtainable. Now there are cloned variants floating around the PvE and PvP space. The positive step forward is not in nerving the weapons, it is giving more options for the type and putting them in everyone's hands. You don't add variety by making everything vanilla, you make Destiny great again by making everyone feel powerful with an arsenal to choose from. The two biggest additions to the Rise of Iron expansion is the introduction of a new Crucible match, Supremacy, and a new Raid, The Wrath of the Machine. Supremacy is basically Kill Confirmed from Call of Duty. It's not enough to kill your opponent, when they die a crest will drop at heir feet that must be picked up to collect the points. If a teammate of a fallen opponent picks up the crest, no points; if an opponent does, two points to the opposition, one for the kill and another for the capture. It can be frustrating because it forces close quarters action and really amps up the shotgun meta that already is far too prevalent in the Crucible, but it also frantic, fast paced and can be rather fun. If PvP in the Crucible is really half of the endgame in Destiny, the build of the cooperative side of that coin is The Wrath of the Machine. Previous raids alternated between intricate mechanics forcing frieteams of 6 to work very closely to achieve common goals in the 1st and 3rd raids, with more straightforward running and gunning in the 2nd and now Wrath of the Machines, the 4th. 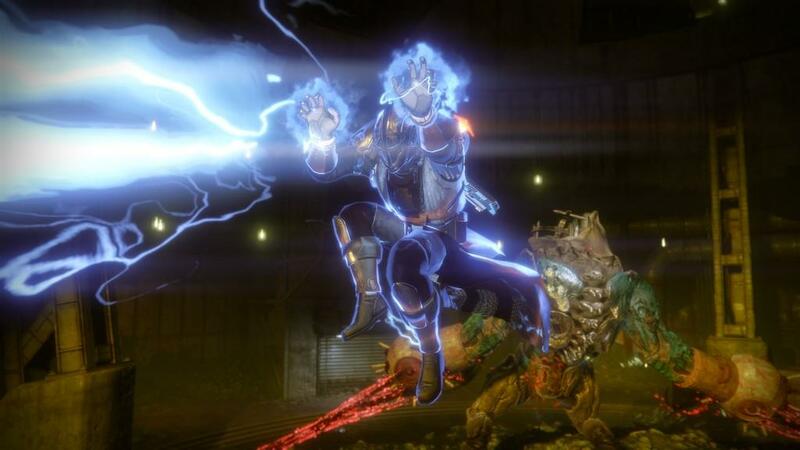 It moves away from the puzzle solving aspects of Kings Fall from The Taken King and emphasizes grabbing a big elemental cannon and blowing up the element with the matching element. It's rockets, not rocket science, and is probably the single best looking and sounding area in Destiny, full stop. It uses the darkness and the light so well and opens up into epic arenas teeming with enemies and mechanics that are just fun to execute. It also boasts, along with the new strikes, the best music the game has seen yet really reminiscing all the way back to those classic Halo sounds and the guitar work of Steve Vai. I don't want to offer spoilers, but the raid is full of epic sequences and entertaining mechanics and doesn't get bogged down the way Kings Fall could. It lets you go guns blazing and opens up the play styles across classes and subclasses. Kings Fall was so technical, it seemed mandatory to run with at least two Nightstalker Hunters and two Bubble Titans or you were absolutely hamstringing yourself. Wrath of the Machine lets you attack the way you want to. Bring your favorite class, because even loadouts that were near worthless in previous raids can still add value here. 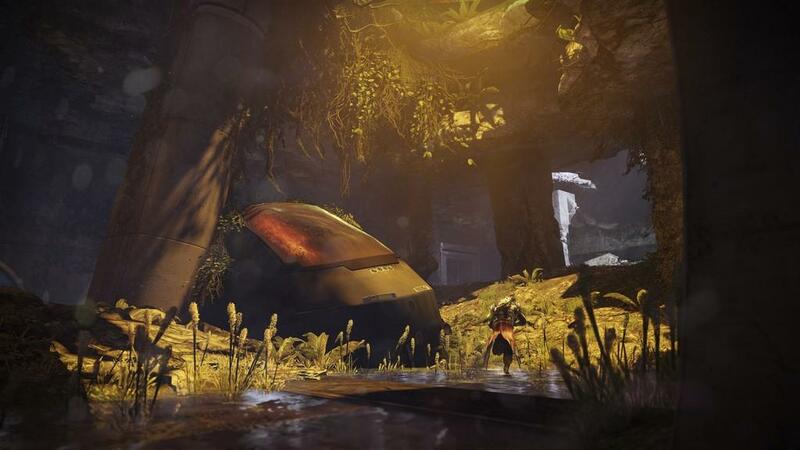 Destiny has come full circle, from the nostalgia of the locations and weapons, but also on the story. Because if there is one criticism that still holds true it's that Rise of Iron takes a giant step back from the Taken King and the story is a bit of a mess. I think I see where they are going with it, and that destination is Destiny 2. Bungie throws some story elements and characters at a wall like spaghetti and hopes some sticks. It sets a stage but does nothing with it, it opens up new questions about older characters though to be allies, but doesn't even scratch the surface of an answer. And the raid, while it has some lovely mechanics and is a blast to play, is wholly disconnected form everything else going on. In the Taken King, Oryx's disembodies head appeared in the first mission and set the stage that this was a baddie to be reckoned with. He taunted and tormented us throughout the campaign and the culmination of all that work was to set up the final encounter and feel the depth of accomplishment when his lifeless form finally floated off into space. The big bad in Wrath of the Machine, Aksis, well I'm surprised I even know his name. His first appearance is at the start of the raid and I'm not sure why I'm even fighting him except for that he's shooting at me. He's more than forgettable after the fact, he's not even worth asking why he was even there in the first place. It's a shame for the best fighting mechanics in the industry to be wasted by such a lack of storytelling. I have faith in Destiny 2 because Bungie got it so right in the Taken King, but I'm disheartened they fell short yet again here. The one thing I can not stress enough about Destiny, its best played with friends. if you don't have em, make em. Raids simply cannot be solo'ed and a bunch of randoms pulled together off an LFG site won't do in the long run. Ask your friends or people on your friends list that you see on the game to join their clan. Go to the100.io and create an account to be matched into a group of like minded players. The experiences in Destiny can be epic, but truly are best when shared. There was a time a few months ago when I stopped playing altogether because I was really disillusioned at the direction of the game following another nerf, this time to the class and play style I best enjoyed. I wasn't even sure I was going to keep playing Destiny at all, and largely left for an entire month and only put in part time hours for weeks after that. But what brought me back was my clan, good genuine people I talk to through playstation messages and a private slack channel literally everyday. These people aren't exclusive to my clan, I see them all the time through the LFGs and the100 groups I visit. There are other players and other clans that can do the same for you, you just have to take a few simple steps to put yourself out there and find them. Rise of Iron exists in two spaces, first as a standalone expansion but also as another opportunity to enter the Destiny universe for those that haven't yet. But in both spaces it opens up the entire game, either to be experienced for the first time or replayed again wielding the new weapons, under the new rules, and crushing enemies that once posed a challenge under the weight of that new level cap. If you were an active Destiny player just before the release, let's face it, you're probably already playing Rise of Iron. If you've never tested the waters, then there are bundles available that for the price of a single premium title you can get over two solid years worth of excellent content. If you were a vanilla Destiny player that maybe moved on, there still is reason to come back into the fold as this expansion very neatly wraps up the experience and will immerse you in nostalgia. Rise of Iron just works on every level to close up chapter 1 of Destiny as we not only eagerly await Chapter 2 in the sequel, but get to have loads of fun along the way with our friends.